More families may soon be moving to the Crown Center complex thanks to the plans of an Indianapolis-based real estate company. Crown Center Redevelopment Corp., a subsidiary of Hallmark Cards Inc., announced in November that it had signed a letter of intent to sell 5 acres of its complex site to Milhaus LLC for development. Milhaus, along with Kansas City developer UC-B Properties, plans to add about $80 million worth of multi-family residential and neighborhood retail uses on the vacant tract, which is bounded by McGee Trafficway to the west, 27th Street on the north, 27th Terrace on the south and Gillham Road on the east. Bill Lucas, Hallmark Executive Vice President – Real Estate, told the Kansas City Business Journal that surface parking lots currently occupy the land Milhaus plans to purchase but are underutilized. 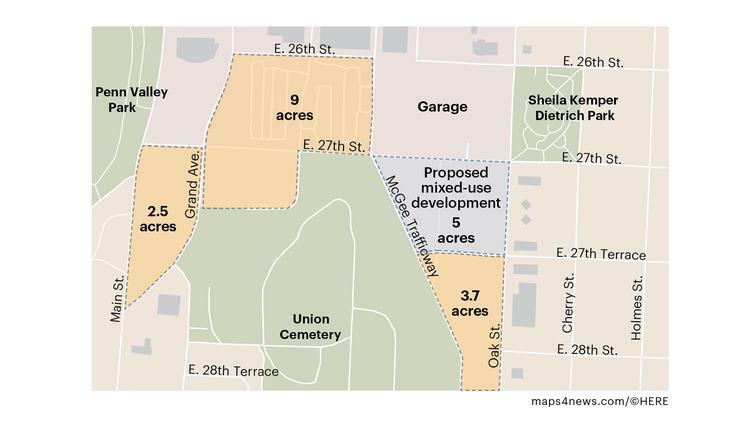 Lucas also said more of the same covers a 3.7-acre site nestled between the 5-acre tract and the Union Hill neighborhood south of Crown Center. Milhaus has an option to buy the 3.7-acre site should it enter a second development phase. The Kansas City Business Journal states that CCRC filed its initial plans for Crown Center in 1967. Since then, more than 2 million square feet of offices, 245 residential units and 300,000 square feet of stores have been built on the 85-acre district. An additional 425 residential units and some commercial space will be added during Milhaus’ development, according to the company’s website.